"worked with bob at Bemis for many years back in the day,..."
"So sorry to hear of Bob's passing. We hope you are doing..."
"Will see you again someday; until then, keep watch from..."
Robert George Stricker, 69 of Vancouver, WA, passed away on Monday, October 30, 2018. He was born on March 6, 1949 in Spokane, WA. 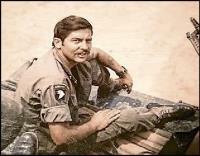 Robert was a veteran of the US Army and served two tours of duty in Vietnam from 1966 to 1973. His first tour was with the 4th Battalion, 3rd Infantry, 11th LIB in the 23rd Americal Division. His second tour was with the 326th Engineers Battalion in the 101st Airborne Division. Robert is survived by his children: Robert and Melissa Stricker of Vancouver, WA, Chris and Kim Stricker of Woodland, WA and Tim and Courtney Stricker of Portland, OR; sister, Lauretta Gustaveson of Seven Bays, WA; brothers, Rick Jahn of Newman Lake, WA, Ron Jahn of Spokane, WA and Larry Jahn of Price, UT; grandchildren, Cameron, Riley, Michael, Mollie, Maxon, Aiden, Tyler and Lexie; and several aunts, uncles, nieces and nephews. Robert was preceded in death by his sister, Lorraine Long in 2017; and his parents, Frank A. Stricker in 1977 and Eva Madge Haines (Roberts) in 2013. A Celebration of Robert’s Life will be held at 11:00 a.m. on Thursday, November 15, 2018 at Vancouver Funeral Chapel, 110 E. 12th Street, Vancouver, WA 98660 with Military Honors to follow at 1:00 p.m. at Willamette National Cemetery in Portland, OR.